Thanks again to Jay of Life Vs. Film for choosing this month’s genre. Next month’s Genre has been chosen by Ryan of Ten Stars or Less. We will be reviewing our favorite Boston Film(s). Try to think out of the box! Great choice Ryan! One of the great things animation can do is introduce children to different genres they might not otherwise experience. Whether it is Coraline to horror or Looney Tunes to comedy it can be a great tool to expand kids pallets and help them take appropriate steps into new and different genres. 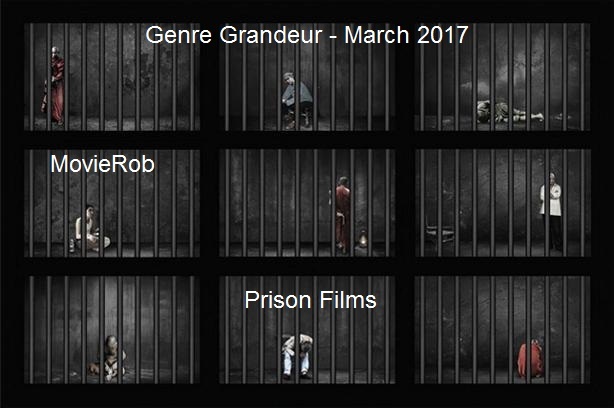 Such is the case for my selection for this month’s Genre Grandeur, Chicken Run. In a delightful and funny film the entire family gets to experience a prison escape movie in a very memorable way. 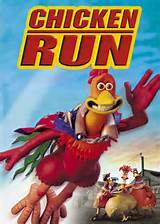 Chicken Run is a creation of the team at Aardman Animation (directors Peter Lord and Nick Park) with an assist from Dreamworks. In this world, the prisoners are chickens with their captors being the farmers Mr and Mrs Tweedy. One chicken, Ginger, dreams of freedom and tries many times to escape much to the chagrin of Mrs Tweedy. One day to her shock a rooster named Rocky flies into the chicken coop and Ginger decides he must teach them all how to fly. Meanwhile, Mrs Tweedy purchases a pie making device, which leads to many tense scenes between her and the chickens. One of the things I love about Aardman is how funny their films are without resorting to pop culture wisecracks or parody like the Shrek movies. There is an old-fashioned gentleness and timeless quality to their brand of humor which I love. In Chicken Run, for example, one of my favorite gags is a hen named Babs is always knitting and in a tense moment she knits a hangman’s noose. That’s funny! I also like some of the dialogue between Rocky, an American, and Fowler, a retired British Royal Air Force chicken. The romance and liar reveal between Ginger and Rocky is a bit predictable but still sweet. The other characters you don’t get to know super well but they all work together as a team trying to escape the prison of the barnyard. Mrs Tweedy is also a terrific villain whose mania grows with each minute of the film. She may be a bit too scary for small kids especially when yielding a massive axe towards the end of the movie; however, those that are old enough will really enjoy her antics. It’s a shame in a way that Chicken Run came out when it did because if it had been a year later I think it would have won the first Oscar for best animated feature film. As it is, it did very well at the box office (highest grossing stop motion film ever) and is a favorite of mine. It’s certainly my favorite prison escape movie so you should totally check it out.